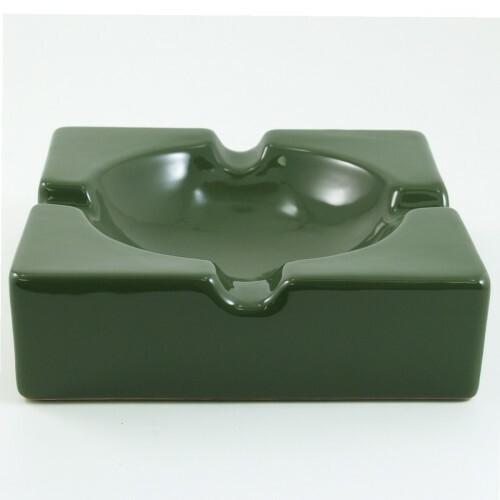 Oversized and impressive, this four cigar ashtray will look great in any setting. Made from beautifully glazed green ceramic, it will make an impression wherever it is used. It features a deep dish so ashes stay where they are supposed to and is notched to securely hold four cigars. It also has non-scratch pads on the bottom, which will protect your surfaces.